Juvenile Indian coursers Cursorius coromandelicus, photographed by Nikhil Devasar. The Glareolidae include the pratincoles and coursers, a small group of charadriiform birds found in tropical and subtropical (mostly arid) parts of the Old World. 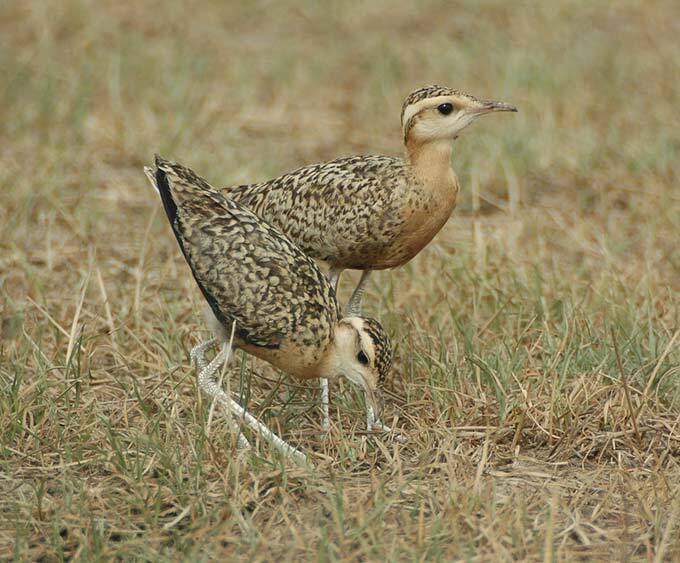 Glareolids are united by the possession of a short, strongly arched bill, but are morphologically diverse: pratincoles (Glareolinae) are long-winged birds that catch insects on the wing, while coursers (Cursoriinae) are long-legged cursorial birds. [H66] Hartlaub, G. 1866. Synopsis of the genus Cursorius. Proceedings of the Zoological Society of London 1866: 61-62.